Luca Belli, PhD, is Senior Researcher at the Center for Technology and Society (CTS) of Fundação Getulio Vargas Law School, Rio de Janeiro, where he leads the ‘Internet Governance @ FGV’ project. 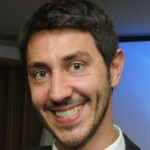 Luca is also associated researcher at the Centre de droit public comparé of Paris II University. Before joining CTS, Luca worked for the Council of Europe Internet Governance Unit; served as a Network Neutrality Expert for the Council of Europe; worked as a consultant for the Internet Society and as a PhD researcher at Université Panthéon Assas (Paris II). Luca’s research interests include internet governance and internet regulation, network neutrality, global administrative law and data protection. He is also the founder and co-chair of the Dynamic Coalition on Network Neutrality of the United Nations Internet Governance Forum, as well as the co-founder and co-chair of the Dynamic Coalition on Platform Responsibility and the Dynamic Coalition on Community Connectivity. Luca’s works on net neutrality have been used i.a. by the Council of Europe in order to elaborate a Recommendation of the Committee of Ministers on Network Neutrality. He is co-author of the Net Neutrality Compendium, edited by Springer, and author of De la gouvernance à la régulation de l’Internet,edited by Berger-Levrault. Luca is also co-editor of Medialaws.eu.